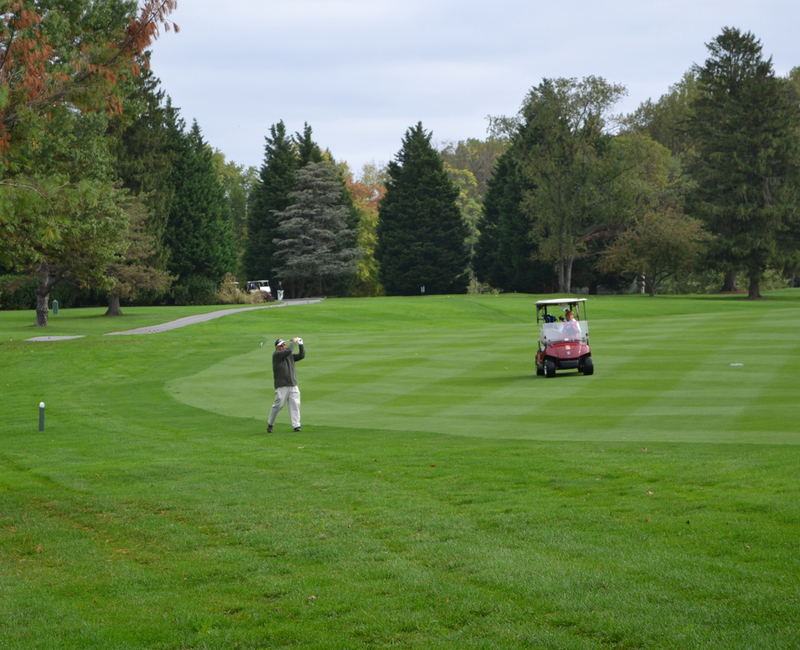 The 2019 Community Cup Golf Event is currently scheduled for Monday, October 14, 2019. Registration should start in May of 2019. Merchandise Tent - and a $100 Credit! Sponsorships are a crucial part of our ability to support our community. View our sponsorship opportunities and consider showing your support as a 2019 sponsor. Welcome to the 11th Anniversary of the Community Cup Golf Invitational, benefiting the Building for God Community Foundation (BFGCF). It is such an honor to be a part of the Foundation. I want to say thank you to each person here today. It does not matter if you are a golfer, a volunteer, a sponsor, or a donor, what truly matters is that you are supporting BFGCF’s mission and values. My first experience of the Cup was in 2011, and I could feel the energy and passion for the Foundation’s cause and mission that day. More importantly, it was also the year the first Champion in Life grant was awarded. The impact of that grant, as well as the Foundation, has grown tremendously over these last several years and has provided funds to so many deserving individuals and nonprofit organizations who continue to serve those less fortunate in our community. We could not help as many nonprofits as we have and will continue to help without the funds raised from the Community Cup. Today, as we celebrate 11 years, we can see that this cause and mission has grown into a family. What started as a few has grown into a much larger group of like-minded individuals who want to serve and do more for the greater good. I wanted to join BFGCF because family is extremely important to me and it is inspiring to see how this family as grown in the last 11 years and will continue to grow for many more years to come. The impact of the Community Cup’s efforts is evident on the faces of the nonprofits and the people they serve. Your donations and support do make an impact, and even the smallest amount can make all the difference. We do not need the recognition or the spotlight for our efforts; we are here to serve and support those in need because giving back to those in need will only help foster our community’s future and, in turn, foster our own. Raising $2,500 is what it takes to send 80 Head Start students on a field trip. Thank you again! I wish everyone a great event!